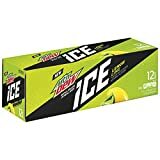 Mountain Dew Live Wire is an orange flavor variation of the popular soda, Mountain Dew. Live Wire has the same caffeine content as regular Mountain Dew and comes in various size bottles. Caffeine: A 16 fl.oz. Live Wire has about as much caffeine as a small cup of coffee. Since MD is popular with children, parents should be aware. Sugar: Live wire is very high in sugar and a can has more sugar than 1 ½ Snickers candy bars. Brominated Vegetable Oil: This additive is banned in Europe and under FDA investigation. 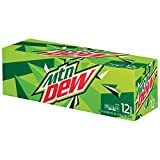 Artificial Dyes: Mountain Dew Live Wire contains both Red 40 and Yellow 6, which have ever increasing evidence of causing health concerns. Sugar content: 46 grams (per 12 ounces). How Does Mountain Dew Live Wire Compare? 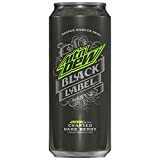 Mountain Dew Live Wire contains 4.50 mgs of caffeine per fluid ounce (15.22mg/100 ml).